Otakuthon has been over for two weeks now and it was an event to remember. With a total of 22 065 attendees, Otakuthon managed once again to be a great success. But the biggest success in my totally bias opinion was our presence this year at Otakuthon. We were bigger than ever, in terms of room but also in terms of responsibility. We succeeded in having an amazing (on. the. show. floor.) display filled with all the greatest Gunpla building talent in the region. That display was also filled with new Gunpla models by Bandai, letting people know about everything upcoming. It managed to do something we are lacking right now and need to work on right away. It succeeded in Informing the wider public which aren’t as crazy about model kits as we are. That GBWC booth was also spectacular in it’s own way, it’s backside was filled with information on winning builds across the world in last years competition. It’s bright white and orange color attracted the eye right away. Mixed with the LEDs in the display, it was a shining oasis of painted plastic in a sea of convention-priced merchandise. Speaking of merchandise, we succeeded on the marketing front, our experts salesmen in the Gunpla room sold our beautiful Soteva made shirts and hoodies as well as limited convention-exclusive Gunpla model kits in the GBWC booth. And speaking of the Gunpla room, we succeeded in filling it with numerous participants at our workshops as well as during our panels. As last year and Anime North earlier this summer, we had to ration the kits in order to have some left for Sunday. The lines forming in front of the room were remarkable to see. Few of you know this, but we also received a great visit from Usui Kotaro, a Bandai Namco producer for the games Gundam Breaker, SD Gundam G-Generation Genesis, Gundam Battle Operation and the upcoming Gundam Versus. He was joined by producer Naoya Yasuda, who was the assistant producer for the first arcade version of Mobile Suit Gundam Extreme VS and now produces various Gunpla/Gundam related product. Accompanied by two of their colleagues, they toured our Gunpla Room on Saturday night after closing. After marveling (yes that is the correct word, they kept exclaiming ‘Sugoi!’ while looking at all the models) over our display, they asked us questions about mobile suits we would love to see in Gundam Versus and other Gundam games. We gave our kind guests a Gunpla Montreal t-shirt each and in return, they honored the club by signing it’s flag. To our teams on the ground floor, in the room, the panelists, all the volunteers, all the club members, everyone who came all to way from Ottawa, Toronto, Vancouver and to all those who gave their time to help us make this dream possible. 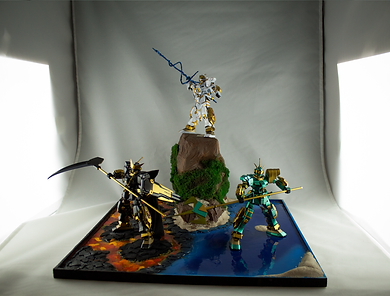 Stay tuned for more articles and in depth interviews with all three GBWC Canada winners. 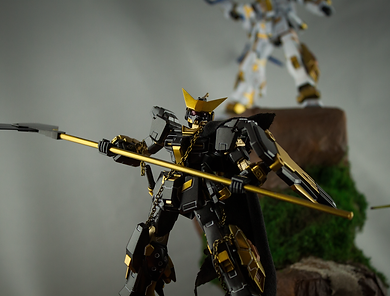 And don’t forget, the GBWC online competition is still active till the end of September, the Saturday the 30th to be more precise. 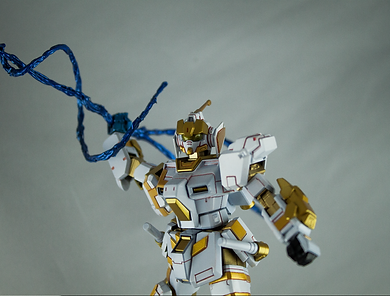 Click here to access the GBWC website with all the rules and instructions. If not, rest easy, but be prepared for next year! Otakuthon and the Gunpla Builders World Cup 2018 will take place from 3rd to the 5th of August! 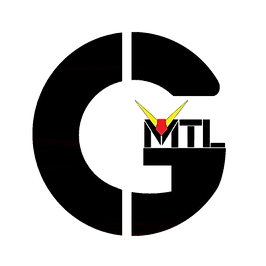 GMTL will be at Capcon on the 30th of September. Capcon is an IPMS event held in the Canadian War Museum in Ottawa. 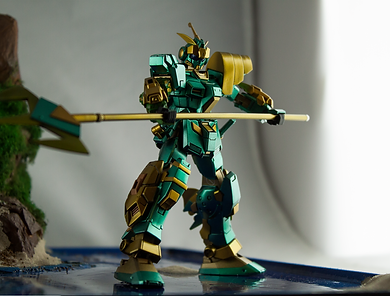 They’re introducing for the first time a ‘mecha’ category and we need to show the interest of the Gunpla community in participating in various modeling events! And now, a word from different members of the club that I picked from our Facebook group. Just send us a message of your experience at Otakuthon and we’ll add it to this page! What an adventure. This was amazing week-end and we achieve the first goal of our club. We started small in 2014 thanks to Lu Chanh and his inspiration the club was born. After 3 years of Otakuthon we finnaly achieve the GBWC. I’m starting to get back on my feet and realising what we have all done….it’s still too much for now. We finnaly have a Canadian representative that will fly to Japan by the end of the year… Handzy Adolphe I wish you the best you truly deserve it. The club is growing in numbers and spirit. And I truly believe next year will be more magic than the other. For those who have worked with me and help build this club from ground zero to where it is now, I can thank you enough, you support me and endure me in the hardest moments. Victor Tran, Guillaume Drouin, Handzy, Merlin Lefebvre, Dylan Aragorn Teed and Azmaray Gul THANK YOU, nothing we did this week end would have possible without you! Michelle Christensen, Justin Michaud, Deven Jesse Paradis Ouellet, Ernest and Su thank you so much for the level of stress endure. I would also like to thanks Plamod and Sean Lee which helped us achieve our goals…none of this would have been possible without them…and Peter Wen Thank you…you pulled all your resource and didi so much extra work to pass all those problem we encounter before and during Otakuthon. Thank you so much for everyone to be part of this great experience. Now that I am properly rested I feel that I can properly say what I have on my mind. I would like to thank every single one of you that have helped this historical event as well as making an old old dream come true. I want to personally thank Nicolas Goudreau Tsouria who saw my potential 3 years ago and told me I should join the club, which ended up being one of the best decisions of my life. Nate He that suggested me to get a hobby saw, gave me several tips along the way and helped me realize that I had unique style that I should embrace. Having a rival is also very good for pushing one’s limits. Victor Tran who told me about reverse washing, Dylan Aragorn Teed who suggested me to play with textures, Xiao Yang’s honest feedback for 2 years in a row now has helped me mitigate my flaws, Guillaume Drouin showed me an easier way to clean my airbrush because I had no clue what I was doing, Justin Michaud showed me the basic principles of wet sanding and taught me the difference between the different types of mr.surfacer, Deven Jesse Paradis Ouellet is always giving me inside knowledge about the various kits that he gets which has been very helpful, Ian Gouilloud with his amazing pics and design, Su Xu’s advice for scratch building and finally Lu Chanh for providing me with my first pale rider and making fun of my SDs so much that I decided it was time for a change. I could continue for hours but the list would not end. The rest of you that I have not named, know that you have helped me in the past and some you that I met recently have already started helping me with my future builds. What I am trying to say is, this is not my win but our win. We all contributed in a way and this is only the beginning as we have only scratched the surface. We are part of something big. Let’s show the rest of the world maple syrup lovers don’t mess around. I sincerely appreciate and I am humbled for this amazing weekend. P.S.. I still haven’t found my bagel. This year was something else entirely. By our efforts and those who supported us, be they from MTL, the GTA and all around Canada; we just took a massive step toward proving that Canada is on par and even better than everyone in both build quality and creativity. I cannot state how proud I am of you all. You guys make all those months of grueling organization worth it. Thanks again to Plamod for believing in us and making this fever dream a reality. Thanks to Bandai for trusting Montreal with the great event that was GBWC 2017. Keep on building guys, Gunpla is Freedom, Ball is life, Sieg Zeon!! Thank you all for the off-the-scale experience! Thank you for the warm accomodation Gunpla Montreal! Bogdan for the Sd kit, that i sacrificed to summon a greater kit! I also apologize for the fiasco last saturday during the panel.. We had a friend who lost his camera and he uses it for work.. But thank god for the Montreal spirit. Someone dropped it off to the lost and found. Once again. Thank you Montrealers for giving one of the best events this year.. Finally have enough rest and brain power to post words. This is the 2nd time Baldwin and I attended Otakuthon and the 3rd time we attended panels held by Gunpla Montreal. It was great to see how much bigger the Gunpla presence was this year and I would like to congratulate Gunpla Montreal, all your hard work and efforts paid off! It was great to meet new people and get to know better the people we met previously. From other cons, to even the Toronto crowd. I had a lot of fun hanging out with everyone. I was honestly inspired by Ivan Yeremin’s Master Class panels and motivated to experiment and try scratch building. I also think I was very lucky to be on the same bus as Ivan on the way back so I could pick his brain on other methods. I am so thankful that everyone was so supportive and encouraging throughout my building process and at the con. I really want to thank Jonathan Morissette for teaching me about LEDs and Ray Li for giving me pieces for my build. And of course, Baldwin for letting me build while he did all the work at the shop. I hope next year I don’t disappoint! And thank you Nic for the bear!